Alejandra is doing her internship at the Sanford Burnham Prebys Medical Discovery Institute, in the lab of Dr. Pamela Itkin-Ansari. In human pancreatic ductal adenocarcinoma (PDA), as in many other cancers, the stem cells are responsible for tumor formation. Human PDA stem cells exhibit unregulated expression of pro-stem markers including CD44, while losing expression of cell fate markers including MIST1. The lab has shown PDA cells lack activity of the transcription factor E47. When E47 activity is restored, CD44 expression is dramatically decreased and expression of the cell fate gene MIST1 returns. Her project is aimed at examining expression of E47 and its inhibitor in multiple stages of the PDA progression using human cells and mouse tissues. Her research is intended to broaden our understanding of the role of E47 and its inhibitor, ID3, in PDA pathogenesis. Nick is working under Fangjian Gao, PhD in the lab of Dr. Diana Hargreaves, at the Salk Research Institute. Nick is studying how mutations in the BAF chromatin remodeling complex have a role in intellectual disorders. He is using CRISPR-Cas9 technology to introduce mutations in human pluripotent stem cells that mimic disease mutations. The overall goal of his project is to identify how intellectual disorders may alter neuron development. Jerry is a senior pursuing his B.S. in cell and molecular biology. 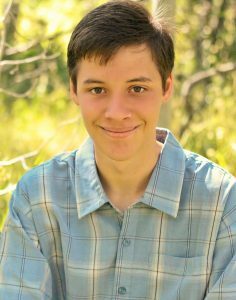 His internship is in a biotech lab at Solstice Biologics and he is being mentored by Philip K. Solstice is an immuno-oncology lab. Jerry will be screening compounds on several cell lines. Jerry’s SDSU mentor is Dr. Ralph Feuer. 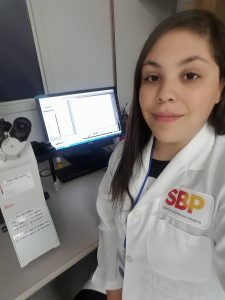 Jasmin is doing her internship in the lab of Alexey Terskikh, PhD at the Sanford Burnham Prebys Medical Discovery Institute. She is working on experimental strategies to regenerate hair follicles, with an emphasis on the neo-genesis of hair follicles in adult individuals. 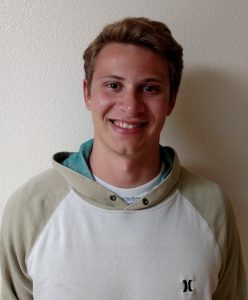 Nick is doing his internship in the lab of Patrick Hsu, PhD at the Salk Institute for Biological Sciences. He is investigating how different cytokine combinations and media conditions affect the differentiation of human embryonic stem cells into astrocytes. Alvin is doing his internship at Genea BioCells under the direction of Monica Hayhurst-Bennet. He is working on the characterization of human B/DMD-affected stem cell lines during skeletal muscle differentiation. Danny is a Masters student at SDSU, pursuing a degree in Cellular and Molecular Biology. When Danny is not talking about himself in the third person, he is usually working on finding drug targets that may potentially inhibit stem-like glioblastoma cancer cells in the Dr. Heller Brown lab at UCSD. His home mentor at SDSU is Dr. Ralph Feuer. Josh is doing his internship in the lab of Kelly Frazer, PhD at UCSD. He is studying mechanistic associations between human genetic variants and disease. Hanna is doing her internship in the lab of Larry Goldstein, under the direction of Paulina Ordonez, Assistant Professor of Pediatrics at UCSD. She is modeling non-alcohlic fatty liver disease in hiPSC derived human hepatocytes. 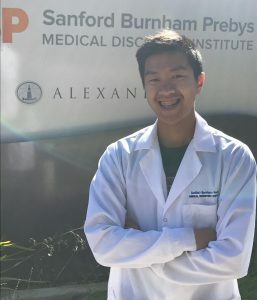 Andrew is doing his internship in Doctor Duc Si Dong’s lab at the Sanford Burnham Prebys Medical Discovery Institute. 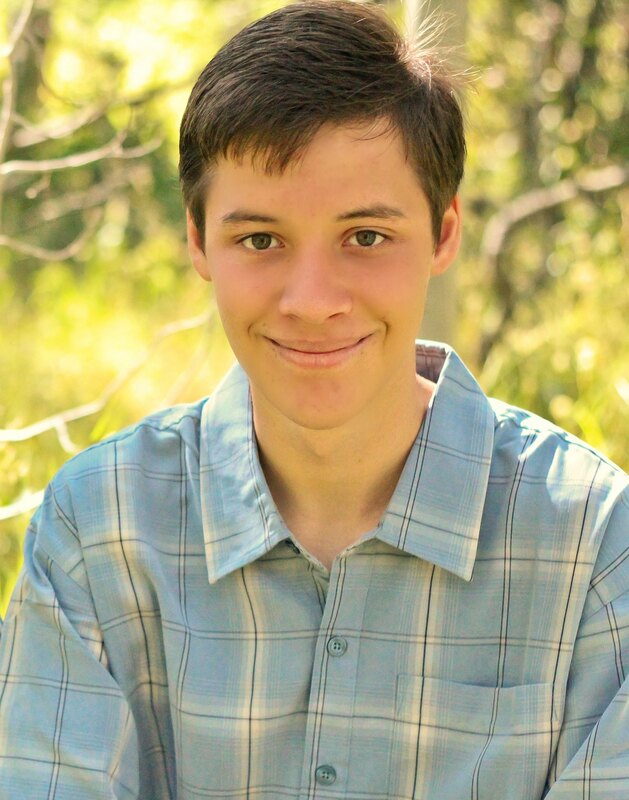 Under the supervision of Dr. Joseph Lancman, Ph.D. and Clyde Campbell, a Ph.D. candidate, Andrew is investigating transdifferentiation and cellular reprogramming in vivo without limitations. In vitro, it has been shown that changing a cell’s stable identity can be done either directly or through a pluripotent intermediate. Whether a cell’s identity can be changed in vivo, across germ-layers and without passing through an intermediate pluripotent state remains an open question. Andrew seeks to explore this question by investigating whether utilizing a cocktail of transcription factors can help promote direct transdifferation in vivo. Andrew’s overall goal is to reprogram a range of cells throughout the body into insulin producing pancreatic beta-cells as a way to replace this cell type which is lost or dysfunctional in patients with diabetes.